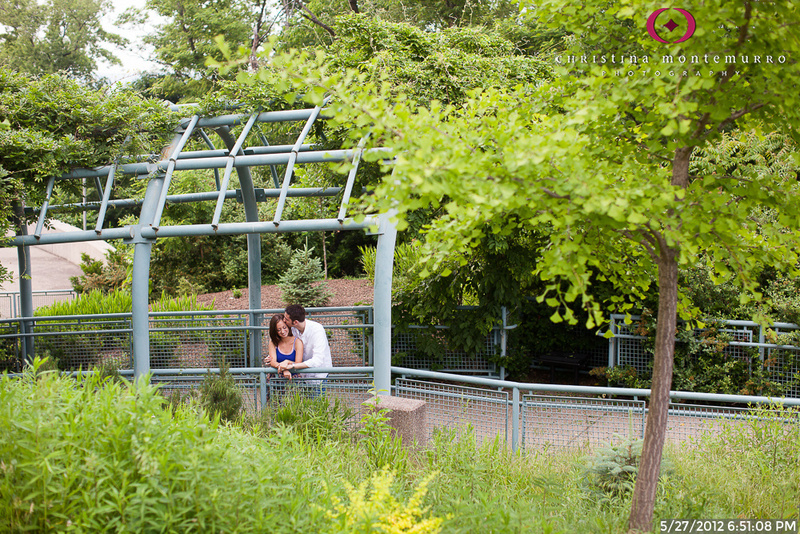 WHY IS THE WEST END OVERLOOK A GOOD CHOICE FOR WEDDING PHOTOS OR AN ENGAGEMENT SESSION? The West End Overlook provides a panoramic view of downtown Pittsburgh. The West End Overlook has a little bit more diversity and offers a greater variety of photos because there’s a small park here, not just an overlook. This is a nice spot for an engagement session, but less so for a wedding day because it’s a bit out of the way to get here, and in my opinion, not worth the time it takes. The overlook from Mount Washington near the Duquesne Incline is easier to get to. There is a fence here, which for safety reasons I’m thankful for, but it does obstruct the view.